A Scottish wedding just wouldn’t be same without the magical sound of the bagpipes so for your special day you really should employ the services of a Scottish wedding piper. There are many Scottish wedding venues for you to get married in throughout the Highlands and across Scotland, from small intimate locations to large famous and historic castles. 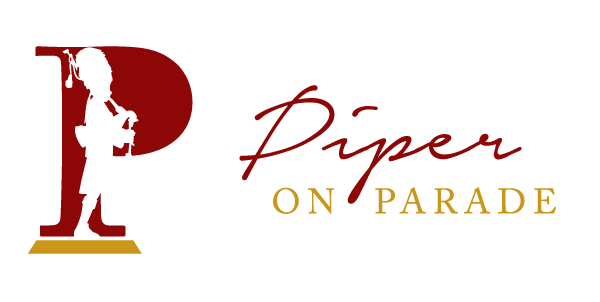 Piper On Parade provides wedding piping services throughout the Highlands of Scotland, Scotland as a whole and across the UK. He is familiar with venue layouts and can give you excellent advice on how to incorporate the sound of the pipes into your big day in whatever location. Below are some suggestions as to when your Scottish wedding piper may play. Pipe outside the venue as the guests arrive. Pipe as the bridal party arrives. Pipe as the bride walks up the aisle. Pipe as the bride and groom exit the wedding ceremony. Pipe in the grounds of the venue while wedding photographs are being taken. Pipe as the bridal party and guests enter the venue prior to the meal. Pipe as the bridal party to the cake cutting. Pipe the bridal party to the top table. At this final point it is usually the end of the pipers day having marched out to a rousing celebratory tune leaving the happy couple and their guests to enjoy their meal and remainder of their day, however it has been known for the piper to be asked to play at the close of the evening with a rousing rendition of Auld Lang Syne, bringing the curtain down on a tremendous memory filled day. As a former piper of the Scots Guards, Piper On Parade has extensive experience in a range of pipe music and wears the full ceremonial uniform inc. kilt and feather bonnet. If preferred a more understated order of dress may be worn, inc. kilt, black jacket, collar, tie and Glengarry. Wedding photos taken with the piper are a great addition to your photo album recalling at an instant the music and style of the day. If you require a Scottish wedding piper call Piper On Parade for an informal chat about your requirements or if you prefer email, FB or text.